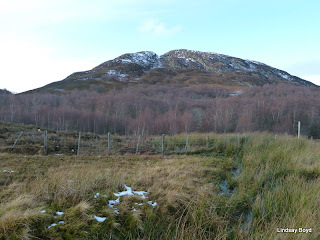 Trip Details and useful information on my ascents of Scotland's Sub 2000 feet Hills. The web site, Caledonia Hilltreks details my ascents of the Munros, Corbetts, Grahams and New Donalds all of which are above 2000 feet. 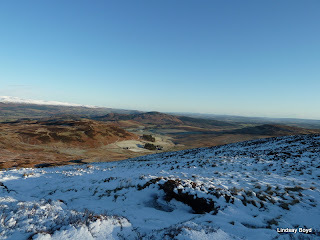 This blog will contain an account of my ascents of the hills below this height as and when they are climbed. Climbed Creah Bheag from Kingussie, Strathspey. You can read my trip report and view my slide show here. These Sub 2000 Marilyns have now been added to my web site Caledonia Hilltreks. There is an index at http://www.caledoniahilltreks.com/marilyn_index.htm. Future ascents of Sub 2000 Marilyns will be recorded on my web site where all my walks are recorded together with photographs taken on these adventures. Creag a’Chliabhain, Strathnairn. Section 9B. Height – 513 metres. Map – OS Landranger 26. Climbed - 8 January 2012. Time taken – 4.5 hours. Distance – 13.25 kilometres. Ascent – 350 metres. Slide show from photographs taken on walk. Height – 393 metres. Map – OS Landranger 57. Climbed - 18 December 2011. Time taken – 1.75 hours. Distance – 5 kilometres. Ascent – 305 metres. Earlier in the day I climbed Ben Clach so it was only a short drive east, along some frosty and icy side roads, to the start of the Sub 2000 Marilyn, Torlum. I left my car in the bellmouth of the forest track directly opposite a cottage located north of the road leading to The Balloch. It may have been possible to commence the ascent from opposite the road to The Balloch but I never checked to ascertain if there were any suitable parking facilities here. I entered Torlum Wood and almost immediately took a left turn along another forest track passing an unusually styled picnic table. Its location at the side of the track, which seemed infrequently used, appeared rather odd to me. Further on I joined the track from the alternative starting point and here there were signs for forest operations, although none mentioned no access. I followed this track as it gradually climbed through the forest with piles of cut timber at the side. It looked like they were thinning the trees rather than clearing areas of the forest. A large metal deer gate was reached but the track beyond wasn’t shown on my map so I continued along the mapped track which made a slight descent and led to another junction where I took the left fork. The tracks here were a bit churned up but I could now see the hillside ahead so I followed an old track along the edge of the forest. When this came to an end I was confronted by a steep climb through dead bracken, which was rather hard work. 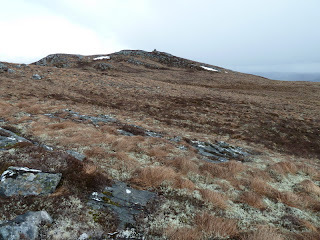 I was aware from reading a report on Scottish Hills that there was a path leading to the top but I was close to the summit before I located and followed it to the summit trig point. I had my lunch sheltering behind the trig point from a cool breeze. Afterwards I followed the path back down the hill and into the forest. Here I was confronted by several fallen trees which blocked the route. I heard the barking of roe deer but couldn’t see them for the low sun. A large metal gate in the deer fence was reached and passed through before I continued along the track, which took me to the metal gate mentioned on the ascent. I then returned to my car by the upward route. 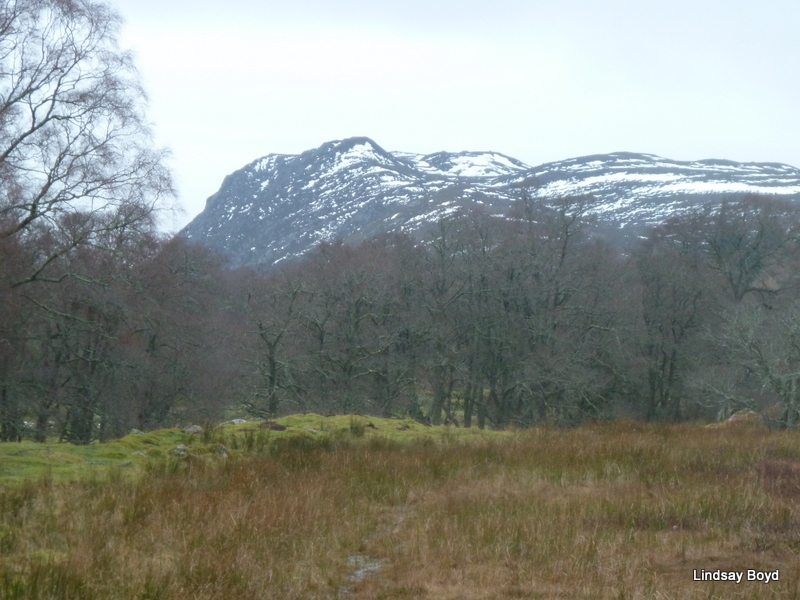 Ben Clach, Comrie. Section 1B. Height - 533 metres. Map – OS Landranger 57. Climbed - 18 December 2011. Time taken – 2.25 hours. Distance – 6 kilometres. Ascent – 310 metres. Several times I’ve thought about climbing Ben Clach but was put off because it was used by the military. However I read recently they were only there infrequently and as it was a Sunday I thought it might be okay. 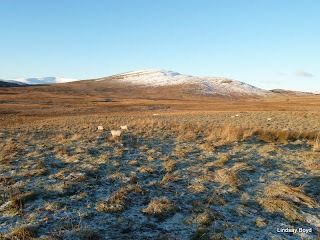 The B827 Braco to Comrie Road was white with frost as I headed to my planned starting point, Tig-na-Blair Farm. There were no red flags flying which was a good start but on reaching the road leading to the farm I couldn’t locate a suitable parking place. I had thought about asking the farmer but read that a walker had upset him so I suspected he might not be pro-walker. I eventually parked my vehicle on the verge about 500 metres to the south of the farm, although I wouldn’t really recommend this location. 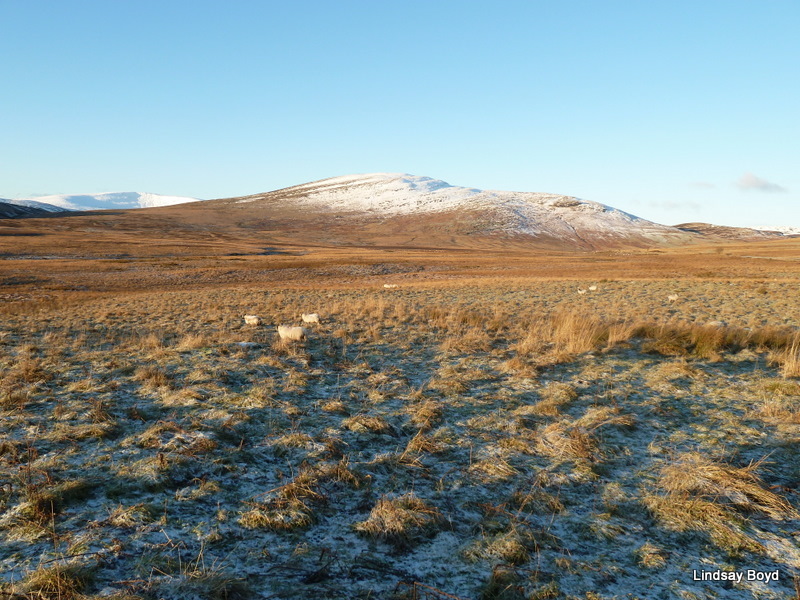 Once geared up for a frosty start I walked along the main road before heading up the icy farm road to Tigh-na-Blair, through between the farm buildings and to beyond a cottage. Here the track headed through a gate but I opted to follow an old vehicle track that ran along the north side of an unnamed stream. At a junction of streams I easily forded the burn, crossed a field of rough pasture and headed for a gate I had spotted. Beyond this gate the ground would normally be boggy but fortunately it was frozen with some snow cover. This made for steady progress but higher up the snow covering the heather was softer and this slowed me down as it wouldn’t hold my weight. The summit area was reached but there was no cairn unless it was concealed under the snow. I wandered around the summit before selecting a clump of heather which I decided was the highest point. 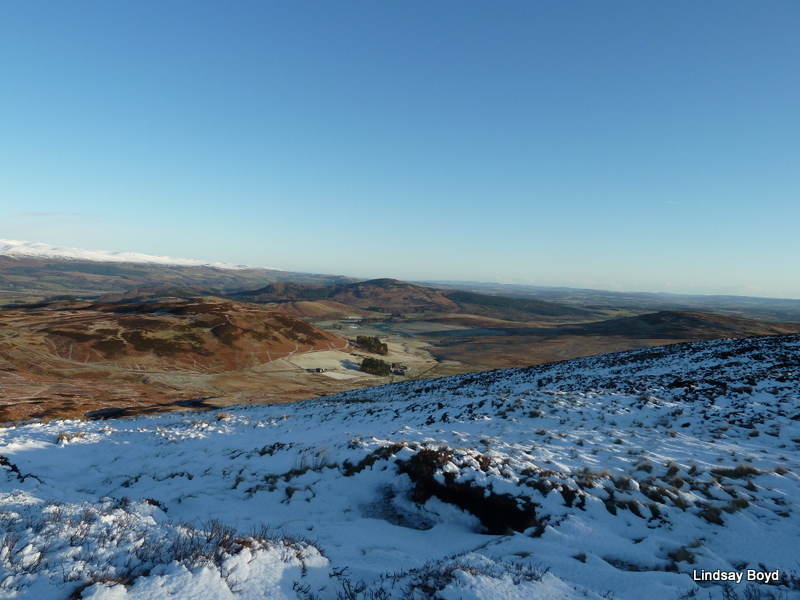 There were good views of the snow covered Ben Vorlich, Stuc a’Chroin and adjoining hills. A cold breeze was blowing here but I found a small dip, where I had a quick cuppa while looking towards the Ochils, the Forth Valley, and what I thought was Arthur’s Seat and the Pentland Hills. My return was by the upward route. Meall an Tarsaid, Stratherrick, Inverness-shire. Section 9B. Height – 492 metres. Map – OS Landranger 34. Climbed - 11 December 2011. Time taken – 1.25 hours. Distance – 2.25 kilometres. Ascent – 210 metres. is a web site that I created for details of my ascents of the Munros, which I have climbed five times,the Corbetts, which I have climbed twice, the Munro Tops, Grahams and New Donalds which I have ascended once.